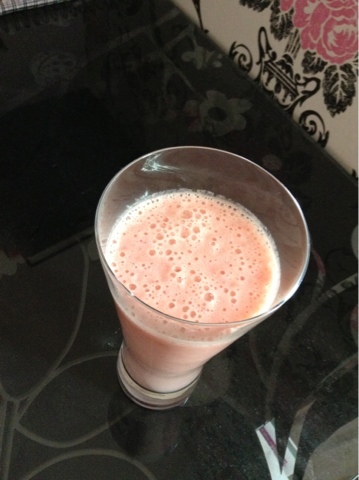 This morning I thought I'd have a healthy breakfast and make myself a strawberry and pineapple smoothie. It was so delicious! 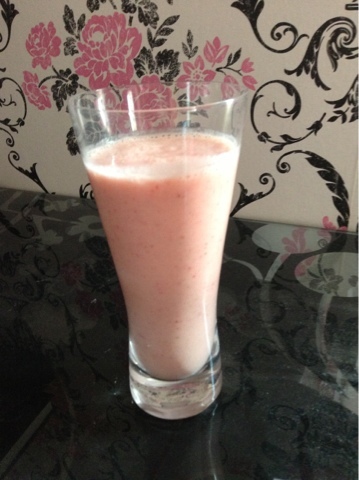 All I did was wash and cut up some strawberries, chop up some pineapple, add some milk and whizz it up in the blender. So quick and simple for a healthy, yet yummy breakfast! !